The Supreme Court and Election Commission must join forces to ensure the 2019 Lok Sabha poll becomes a free and fair contest. As and when the obituary of the Modi regime gets written, future historians will have reason to register their disappointment that so distinguished a legal mind as K.K. Venugopal should have made himself available for the defence of a questionable defence deal. He is, after all, Attorney-General of India – a constitutional office positioned over and above the petty interests of the political crowd. Those who preside over institutions like the Supreme Court of India, the Election Commission, the Comptroller and Auditor General of India, the AG, do have an obligation, even in most of normal times, to ensure a minimum of constitutional fairness, as well as staying outside the politicians’ squabbles; this obligation becomes a duty the moment national polls season begins. As the designated custodians of republican practices and protocols, these institutions have a sacred duty to ensure that the model code of conduct is honoured both in letter and spirit. In other words, they must see to it that there is a level playing field for all. Admittedly, this is easier said than done. Especially these past five years, all organs of the Indian state have been made to bend at the knee to a haughty and arrogant prime minister. Very many bureaucrats, judges, police officers, generals and admirals have allowed themselves to be taken in by the narrative woven around the prime minister and have, in the process, forgotten that we remain a republic of laws. Now that the code of conduct has kicked in, it is time for every official, high or low, to remember that the Constitution of India is not a thuggish arrangement, to be manipulated by devious politicians. The 21st century obsession with terrorism has eroded the constitutional restraint and fairness needed in the exercise of the coercive powers of the state. We in India have manufactured a new infatuation with strong leaders; the judiciary has slackened its vigilance against the over-bearing policeman, chanting the ‘national security’ mantra; bureaucrats have happily given in to the prime ministerial overlordism. Yet the custodians of republican virtues and values need to remain unsentimentally clear-headed: impatience with the messiness of democracy cannot be allowed to become a reason to tilt the scales in favour of any authoritarian selling the virtues of a mazboot sarkar. Also read: Since Modi is India and India is Modi, Who Needs Elections? The most critical challenge before all constitutional functionaries over the next two months will be how to ensure and safeguard fairness and integrity of the electoral process. A free and fair poll is not a pious platitude; it is has to be necessarily construed as the keystone of the basic structure of the Constitution. The ‘basic structure doctrine’ was not enunciated just to maintain a certain institutional equilibrium and constitutional equanimity but was also anchored in a belief that the processes of democracy could not be allowed to be abused and hijacked by political gangsters. True, the bureaucrats have necessarily to work closely with this or that leader. In the process, some of them do come to acquire admiration for their political bosses; some even choose to become a part of the coterie (and, in the process get branded as this or that leader’s man); some genuinely begin identifying themselves with the political leader’s priorities and prejudices and preoccupation. In many states like Gujarat the officials have got used so long to a particular political party that they no longer know the concept of bureaucratic neutrality. Admitted, it is part of the basic scheme of things that the government of the day – in the states or at the Centre – must get the best advice and performance of a bureaucrat. But at no time, and definitely not at election time, should the official get involved in the politicians’ rivalries and animosities. Sadly, these last few years, no bureaucrat has been allowed the elbow room of detachment. Now, then, is the time for officials to rediscover their voice and, if possible, their spine. No, they need not become partisans to the opposition; nor do they need to become anti-politics insurrectionists; all that they have to do is to become agents of free and fair electoral choices. They have a chance to make up for the past few years’ servility and surrender. And the seniors in particular need to show the way; only then can they demand neutrality and even-handedness from the lower level officials who function at the cutting edge on polling day. And if the officials remain spineless, the two referee institutions – the Supreme Court and the Election Commission – will need to weigh-in with their constitutional yellow cards. It is a matter of pride and satisfaction that we have come a long way from the era of unchecked political waywardness which existed before T.N. Seshan stepped in as chief election commissioner in 1990. The three honourable individuals who helm Nirvachan Sadan have much more than a legacy to defend. They need to appreciate that there is a sacred purpose to a general election: the renewal of legitimacy of authority. And the commissioners must feel obliged to walk the extra mile to dispel doubts about the fairness of the poll process. It is important to recall that in recent years Nirvachan Sadan had fallen short on this count. For example, the Election Commission failed in its duty to hold the prime minister responsible for violations during the Gujarat Assembly election, when on the last day Modi used a sea-plane to overcome the commission’s denial of permission for a road show (to him and the Congress leader, Rahul Gandhi). It failed to see that Modi’s defiance amounted to him showing his middle finger to EC. Similarly, godman Morari Bapu was allowed to go ahead with his religious parvachan programme, which was a thinly disguised political pitch. Objective observers had sadly concluded that the Election Commission looked the other way at the BJP’s transgressions. It needs to perform some penance. 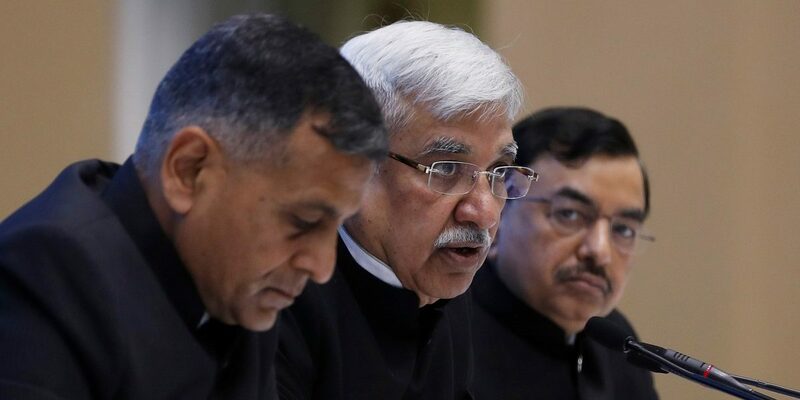 Under the Supreme Court’s goading, the Election Commission is obliged to correct the impression that it remains indifferent to the democratic concern about EVMs. 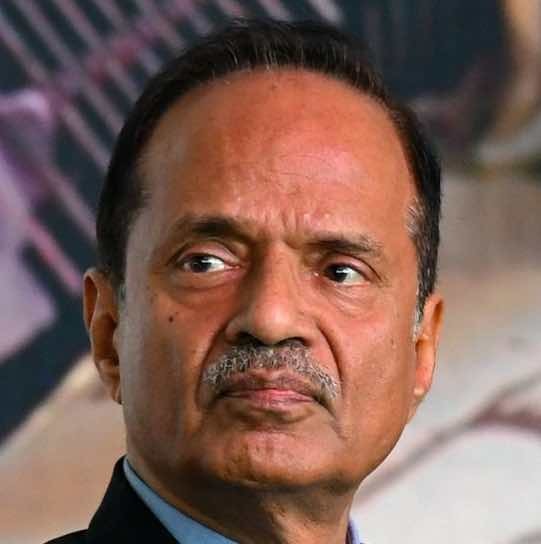 There is a new leadership at Nirvachan Sadan and it is devoutly wished that the commission would recoup its institutional elan and sure-footedness. Notwithstanding Pulwama, Balakot, Pakistan, Masood Azhar, Imran Khan and China, we cannot be distracted from the nobility of our democracy. Hence, we demand that there be no doubt about the democratic choices made. Our own constitutional arrangements, morals and manners remain unchanged, even if a “New India” has been proclaimed. 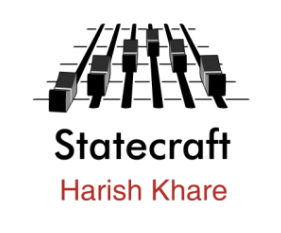 Harish Khare is a journalist who lives and works in Delhi. He was, until recently, editor-in-chief of The Tribune.